In addition to all the units within the national parks system, other federal land units such as national forests and national wildlife refuges also participate on these days. This brings the total number of places you can visit for free on the above days to over 2000. For those that are planning trips, it’s important to note that the free days apply only to entrance into the parks. Other park fees for such things as camp sites, reservations, tours and concessions still apply on these days. It’s definitely worthwhile checking with any destination you’re planning to visit since hotels and tour operators will often have special deals and discounts to coincide with the free entrance days. While national park free days allow for no cost entrance to everyone, starting in 2012 the national park service began offering a free annual pass to active duty military members and their dependents. This pass can be obtained free of charge at most visitor centers or at park entrances. The pass will allow free access to all national parks 365 days a year. There is also a similar free pass for people with disabilities. While not free, the America the Beautiful National Parks Senior pass for those 62 years of age and older only costs $10 (this is less expensive than the entrance fee to some of the most popular national parks) and it’s good forever (there is no expiration date) so it can be used year after year. For the general public, there is an annual America the Beautiful National Parks pass that costs $80, but it’s still a great deal for anyone that visits national parks often. Harry S Truman summed it up best when he was asked at a press conference whether he planned to return to Independence after he left the White House. He responded bluntly, “Certainly! That’s my home.” Today, visitors to Harry S Truman National Historic Site experience the home and surroundings the 33rd President knew when he was a young man who had modest ambitions in politics, as well as the final years as a former president. Though not on the grand scale of a Monticello, Mount Vernon, or Hyde Park, the rambling 19th Century Victorian at 219 N. Delaware, Truman’s home before and after his presidency, has become an iconic spot and a popular tourist destination. 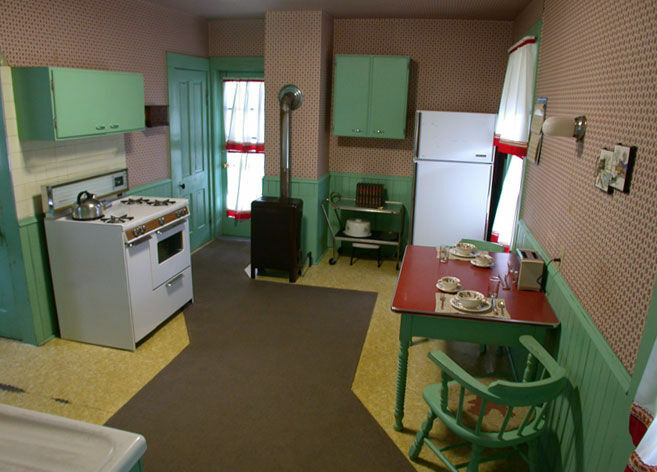 Overall, five properties relating to Truman are preserved by Harry S Truman National Historic Site, and each reflect the practical, middle-America lifestyle that was interwoven into Truman and his family. Take a ranger-guided tour through the Truman Home: The Truman Home offers a glimpse of the personal life of the 33rd President of the United States. Beautiful in its uncluttered commonness, the Truman Home showcases the simple life Truman and his wife Bess enjoyed in Independence before and after his presidency. Preserved following the passing of Bess in 1982, the home and collection contains over 50,000 objects relating to the Trumans, including Harry’s 1972 Chrysler still sitting in the garage. 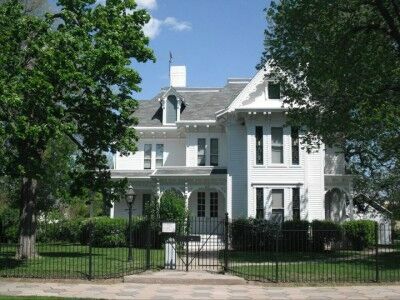 Visit the Noland Home, located across from the Truman Home, where Harry’s favorite cousins lived. While visiting in 1910, Truman returned a borrowed cake plate from across the street, an experience that reconnected him with his childhood friend Bess Wallace which led to a nine year courtship and 62 year marriage. Self-guided exhibits explore the courtship, the extended Truman family, and life in the Independence neighborhood. Following restoration, the home is scheduled to open in spring 2012. 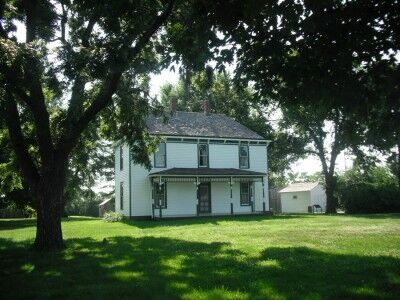 Head down to the farm: Between Memorial Day and Labor Day, take a ranger-guided tour of the historic 1894 farmhouse at the Truman Farm in nearby Grandview. Experience what farm life was like for Harry as a young man from 1906 to 1917. Take a stroll on the grounds (5+acres) of the farm, or take a self-guided audio tour to learn more about the historic farm that was established by Harry’s grandfather and once sprawled over 600 acres. Back in Independence, catch the park’s free introductory film highlighting the Truman family and their home at 219. N. Delaware during and after the presidency. Film plays daily every 15 minutes in the visitor center at 223 N. Main. Children ages 5-12 can take part in the Junior Ranger program and learn more about young Harry and Bess, the National Park Service, and why the Truman Home and surroundings are worth preserving. Who lived next door to the president? Where were the Secret Service stationed? Listen to an audio/cell phone tour to learn more about Truman Home, Truman Farm, or the neighborhood to find out many interesting stories and information. Use your Smartphone to explore more of the sights and sounds of Truman’s hometown. Follow in the footsteps of the president: Truman walked one to two miles almost every morning around Independence. Visitors can take the self-guided walking tour and see up-close Truman-related sites following his route. Don’t forget to check out the park’s bookstore for material highlighting Harry Truman, the presidency, Independence, and much more. Explore the park’s visitor center with changing exhibits located inside Independence’s historic 1927 fire station. Harry S Truman National Historic Site is open daily from 8:30 a.m. to 5 p.m. Tickets for guided tours of the home, offered throughout the day starting at 9 a.m., cost $4 (free for children 15 and younger) and are available at the site’s visitor center, off Independence Square at 223 North Main. The 2012 National Parks free days are quite similar to the 2011 fee free National Parks days with the one major change being that Get Outdoors Day has replaced the first day of summer as a fee free day in 2012. The 2012 fee free National Parks days apply to entrance fees, commercial tour fees and transportation entrance fees. While the fee free days don’t apply to other park fees such as reservation fees, camping fees, tour fees, or concession fees, many times the businesses operating within the National Parks (hotels, restaurants and tour operators) will create their own promotions which will coincide with the free entrance fee days. Even with the entrance fees National Parks are considered a great value, but National Parks free days make them even a better value. Here is the official National Park Fee Free Days 2012 press release. 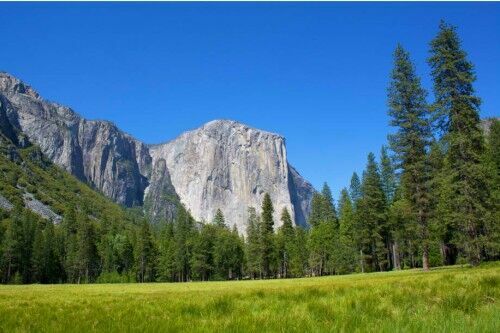 What is not commonly known is that the vast majority of the nearly 400 parks in the National Parks system do not charge any entrance fee at all. Of those that do charge an entrance fee, there is usually a fee per car and or a fee per individual entering the National Park. The following is a list of all the parks in the National Parks system that usually charge a fee to gain entrance to the park. The parks on this list waive the fee on National Parks fee free days. If you know of any National Parks fee changes that have taken place, please contact me so I can update this list. If you have quality photos from your recent National Park trips, the National Park Service would love to take a look at them for possible inclusion for an upcoming wilderness section of Park Science. The beauty of the National Parks wilderness has inspired millions of people who have visited them, but it’s often difficult to capture the spirit of wilderness in words. The National Park Service is hoping to capture wilderness in photos to share in an upcoming issue of Park Science. Photographers of the winning wilderness photos will receive full credit for their photo and their photo will be featured in a four-page color spread in the center of the Park Science edition. Winning photographers will also receive a handy item which can be used in the wilderness such as a trowel. For those interested, you should attach up to three wilderness photos for consideration to Christina Mills at [email protected] in TIFF or JPG format by Friday, September 16, 2011. 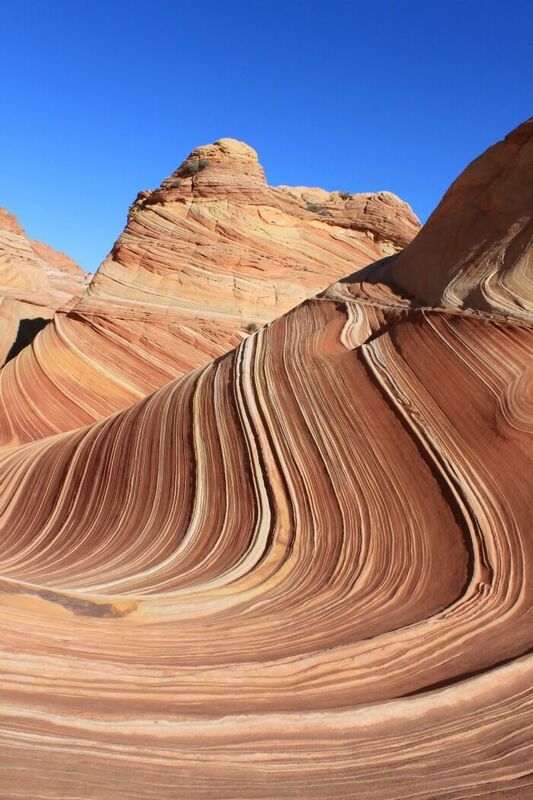 You should also include your name, where the photo was taken (what National Park System wilderness area), the date the photograph was taken and your contact information along with a short description of your thoughts when you took the photograph. 1. All photos must be digital. 2. All photos must be 3 MG in size or larger. 3. All photos must be in either TIFF or JPG format. 4. There is a submission limit of three photos per photographer. 5. Submitted photo must have been taken in a National Park System wilderness area. 6. Submitted photo must not have been retouched, optimized or had filters applied. 7. The photographer must license unrestricted use to the National Park Service if the submitted photo wasn’t taken on official National Park Service duty. 9. Deadline for submission is Friday, September 16, 2011. 10. Please contact Christina Mills at (202) 513-7124 or email [email protected] with any additional questions. The windswept landscapes on San Juan Island offer some of the last remnants of native prairies. As Europeans settled into the Pacific Northwest, most prairies were converted into farms and homesteads. At San Juan Island National Historical Park, resource managers are attempting to restore the prairie ecosystem by replacing exotic plant species with native vegetation. This effort benefits not only the plants and animals on the island, but will one day offer visitors a sweeping, unspoiled panorama of Puget Sound as it once existed, hundreds of years ago.